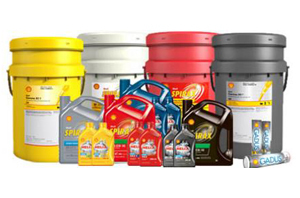 MacDonnell Fuels has a fully stocked warehouse of Shell and Total lubricants. Browse our selection of Auto, Recreation, Marine and Heavy Equipment lubricants, Monday to Friday from 7:00am to 5:00pm. When it comes to choosing the best lubricant for your vehicle, whether petroleum-based or synthetic, we have the selection and expertise to help you make the right choice! no matter what you ride in your spare time, we have the right lubricant to keep your recreational vehicle at peak performance and condition. When choosing oil for your boat, there’s a lot more to consider than a car. We can supply you with all the info and the right lubricant to keep your marine drivetrain purring. There are many types and brands of heavy machinery out there, but we have the right hydraulic lubricant to keep any machine working smoothly. Shell is a leading global lubricant supplier, bringing world-class technological insights to its products, offering you the best formulations for your vehicle. Shell has supported leading racing for years, and channeled that experience in developing their formula. Shell lubricants are designed to meet any challenge, no matter how stressful the driving conditions. That’s performance you can count on. 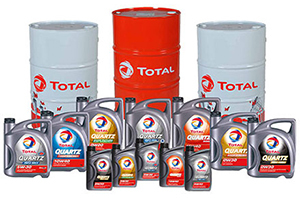 TOTAL offers a vast product range that meets the daily use requirements of all types of vehicles (cars, two-wheelers, trucks and buses, public works vehicles, agricultural equipment, boats) and industrial equipment. Their products are derived directly from research conducted for racing champions and they comply with the most stringent international standards and OEMs homologations.